When Anthony LaPlaca moved from the automotive industry into healthcare as senior vice president, general counsel, and secretary for Invacare, he immediately immersed himself into the new, dynamic market. As medtech companies introduce leading-edge medicines and treatment methods, companies like Invacare are matching the pace of these innovations through technology that supports patients by providing essential solutions for a broad range of clinical conditions. From therapeutic support surfaces, to customized mobility devices and personal care products, Invacare helps patients and their caregivers navigate their worlds more easily and naturally. As general counsel, LaPlaca oversees global legal affairs, compliance, and corporate governance, which support Invacare’s goal of designing, manufacturing, and distributing durable, clinically complex medical equipment for its customers. While his job lies within a legal framework, LaPlaca extends his efforts beyond his department to create a community-oriented culture that infuses the legal department’s voice into the operational development of the company’s business strategy. 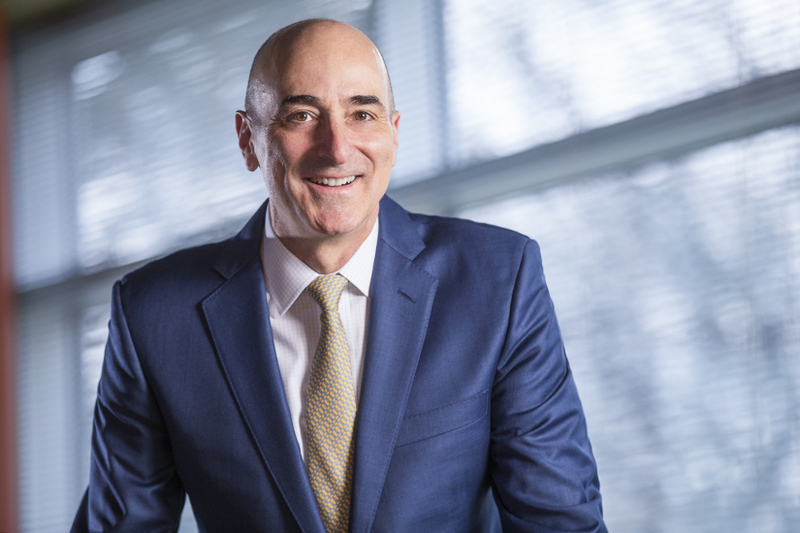 Throughout his tenure at Invacare, he has succeeded in ensuring his team has a seamless partnership with operations, strengthening the company’s mission as it pushes toward the future. Since joining Invacare’s team in 2008, LaPlaca has worked alongside several CEOs to both advance the company’s mission and modernize it. Invacare primarily serves the postacute care and home-care markets as it develops products for people with congenital, acquired, or degenerative diseases. As the population ages and baby boomers reach retirement, demand for Invacare’s products increases. From a business perspective, this demand foreshadows profitability. From a humanitarian perspective, the efficacy and utility of Invacare’s products has demonstrated how the company positively impacts the lives of its customers. Invacare also manufactures products that support the recreational interests of those living with limited mobility. For instance, the company has developed power add-ons for manual wheelchairs, which enable users to engage in activities that otherwise would be difficult or impossible, such as going for hikes with their family. “Seeing the benefits these solutions provide to our customers is both gratifying and inspiring,” LaPlaca says. While Invacare helps patients with their daily living needs, LaPlaca attests that these successes “all ride on the quality and dedication of Invacare’s people.” During his tenure, he has advocated for the empowerment and inclusion of his legal team members into many aspects of the business—both in and outside of the legal department—to help carry the company’s positive results to fruition. LaPlaca earned his team a seat at the table with both senior management and the board of directors, which “ensures Invacare has the right governance and compliance structures in place to support the business mission,” he says. In other words, his team is an invaluable resource that allows the company to remain on top of its legal and compliance obligations as it drives business strategy forward. LaPlaca, who played a key role in onboarding new directors, is particularly proud of the recently refreshed board’s breadth of experience and diversity. His team members also interact directly with the board to give important updates, reinforcing their credibility as a strong and effective team. As the company embraces these practices, LaPlaca has noticed his team flourish in a new light. The team has become an crucial piece in Invacare’s operational puzzle. Not only do members of other departments seek the legal team’s help, but the team has strengthened its initiatives to take on tasks that embolden their analytical strategies. For LaPlaca, constant change is not intimidating—it’s exciting. As he looks toward the future, he notes that Invacare is becoming a “more fast-paced organization that is focused on the efficiency and continuity of our transformative journey, while remaining committed to our customer-centric, innovative culture.” With a highly engaged and recently refreshed board of directors and executive leadership team in place, as well as a focused, dedicated, and proactive legal team to help serve as the backbone of the company, he is confident that Invacare will continue to have a positive impact on its customers’ lives. Calfee, Halter & Griswold LLP: “Anthony is that wonderful combination of a brilliant legal mind, a practical thinker, and a warm and engaging personality. Year after year, he has done amazing things for Invacare, and it has been a pleasure for our firm to support him in his many endeavors.” – Douglas A. Neary, Chairman.